Let’s face it. Teaching teens money management isn’t easy but it is essential. Just like everything else, it takes a little practice. Now, I don’t want my kids having to practice balancing their bank account and using credit cards for the first time when they are away at college. I plan to break them in slowly. In fact, we have been taking baby steps in that direction since they were old enough to do chores and earn some money. Learning to use a debit card is an important part of money management teens need to learn and now Greenlight Debit Card for teens and kids makes that possible. This post is sponsored by Greenlight. All opinions expressed are my own. Teaching teens money management starts with having them know how much money they have, when they have a chance to earn more money, how they are spending their money, and how much money they are saving. Debit cards for kids is just one way that teenagers can learn to track how much money they have to spend, and what they are spending it on. A Greenlight debit card for teens is the perfect way for teenagers to be able to learn to use a debit card with their parents’ guidance because parents can manage the child’s debit card from their phones using parental controls. Greenlight debit card is actually designed for kids aged 8 to 18 and can easily be managed by parents from the Greenlight App. This makes Greenlight ideal for savvy parents of teens who want to empower them to make smart decisions with money while at the same time help guide them and keep them out of trouble. Through the Greenlight mobile app, parents can choose the specific stores or categories where their kids can spend money; they call those greenlights. The Greenlight debit card is the ONLY debit card in the world that offers this unique capability. Greenlight debit cards for kids come with your child’s name (and PIN) built in so only he or she can use it. A Greenlight debit card for teens can be instantly shut off, from either your phone or your child’s phone, if they misplace the card. Money can be instantly transferred from the parent’s bank account onto their kids’ Greenlight Cards through the mobile app. This makes it easy for parents to pay allowance and for kids to manage their allowance money. You can even set Greenlight to pay allowances automatically. Greenlight reporting lets the parent and child review spending choices together. Greenlight debit cards for kids can be used internationally if your child is traveling or studying abroad. 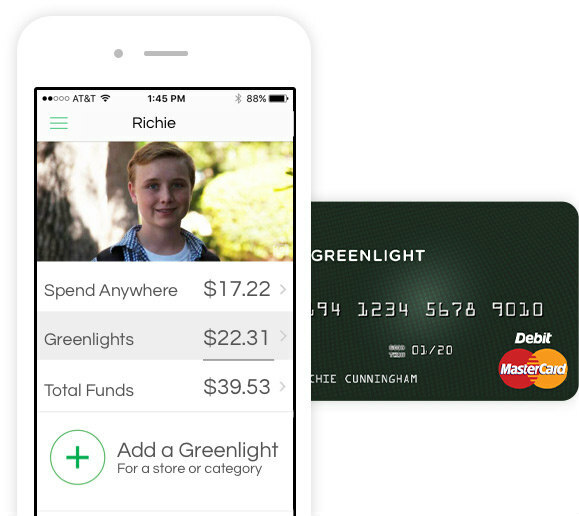 The Greenlight debit card for teens be used with Apple Pay. 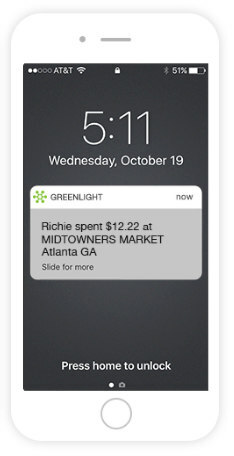 Greenlight sends parents a real-time notification every time their child uses the debit card, letting them know where they are shopping and how much they spent. Amazon just announced that parents can add teens to their Amazon household account for free, with the flexibility to either approve every order or set pre-approved spending limits. Teens can now explore Amazon with the independence of their own login while still giving parents final control. Amazon and Greenlight are both making it easier to talk to our kids about how we handle money and what we spend. Do you talk to your kids about how they manage their money? 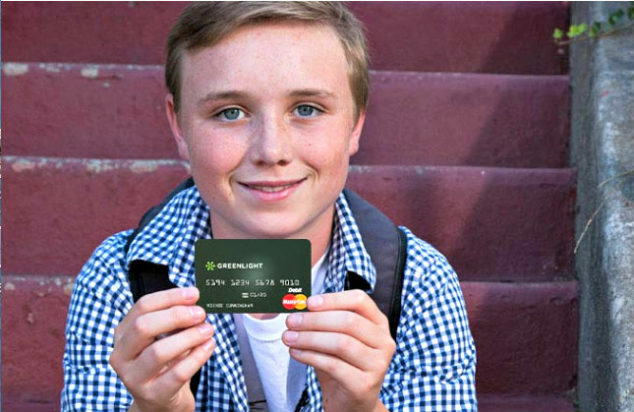 Do you think the Greenlight debit card would be a money management tool your teen would like to try? You can learn more and get the app at greenlightcard.com.